From 1987 – 2005, Mr. Gravina was President, CEO, Co-founder and Director of ATX Communications. Mr. Gravina grew ATX to one of the largest telecommunications companies in the United States: with more than 300,000 clients and revenues over $350 million. Additionally, Mr. Gravina led the multi-billion dollar merger between publicly-traded CoreComm Limited and Voyager.net and privately-held ATX Telecommunications Services. In early 2005, Mr. Gravina retired as President, CEO and Director, but remained Chairman of the Board until late 2006. In 2006, Mr. Gravina Co-Founded and remains the Executive Chairman of GPX Enterprises, L.P. and its affiliates including GPX Realty Partners. GPX and its affiliates maintain investments in various industries including real estate, software, manufacturing and financial services. In 2007, Mr. Gravina Co-Founded and became Chairman and CEO of Evolve IP where he oversees all fundraising, strategy, and acquisition activities. Today, Evolve IP has achieved an 80% compounded annual growth rate, has been named to the 2012 Inc. 500, and based on that publication, is one of the fastest-growing, privately-held cloud services company in the nation with more than 75,000 users relying on its services every day. In addition, Mr. Gravina is a member of the board of directors of FS Investment Corporation (FSIC), a publicly registered, closed-end management investment company and serves as the chairman of its nominating and corporate governance committee. 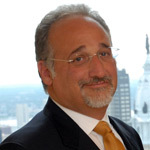 Mr. Gravina also serves on the board of Franklin Square Energy Partners where he is a Member of the Corporate Governance and Nomination Committee. He is Vice-Chairman of the Philadelphia College of Osteopathic Medicine’s (PCOM) board of trustees, chairs their foundation committee and sits on the finance committee. Mr. Gravina supports many worthwhile causes including sitting on the board of People for People and backing the United Way, Special Olympics, and the American Cancer Society amongst others. Since 2007, Mr. Gravina, and employees in his organization, have donated more than 1,900 hours of their personal time and raised $3 million for more than 35 regional charities. Mr. Gravina received a bachelor of science in business administration from Villanova University and is an active alumnus sitting on the President’s Leadership Committee. Mr. Gravina currently resides in Haverford Pa, with his wife Tracey and their three children Thomas, Giovanna and Parker.